The Deccan India Snuggled between two mountain ranges- Eastern Ghats and the Western Ghats is the southern-most region of India. The ‘Deccan Tour’ package by Heritage Hotels of India, beginning from Mumbai, will extensively cover some of the most prominent destinations in Deccan. 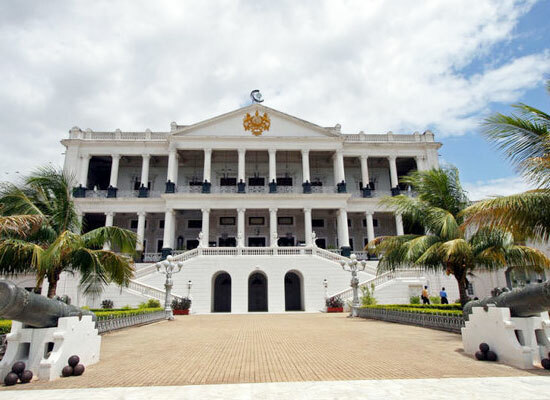 Come face to face with colonial structures as well as the brilliance of erstwhile South Indian rulers. 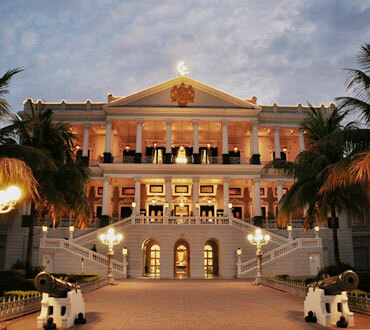 Marvel at the magnificent architecture, spend days reliving history and enjoy royal stay at heritage hotels. The 13-day tour starts from Mumbai coming to its conclusion in Bangalore and covering Hyderabad, Gulbarga, Bijapur, Badami, Hospet, Hassan and Mysore in the voyage. The Deccan tour starts with your arrival at the Mumbai International Airport. Here you will be met by a tour representative who'll assist you in smooth transfer to the hotel for overnight stay. The 'City Of Dreams' overlooking the vast Arabian Sea was given to Charles II of England on account of his marriage to the Portuguese princess Catherine. It also goes by the title 'Financial Capital of India'. Overnight stay in a heritage hotel or one of similar category. Start the day with a hearty breakfast. Later, embark on a sightseeing tour. 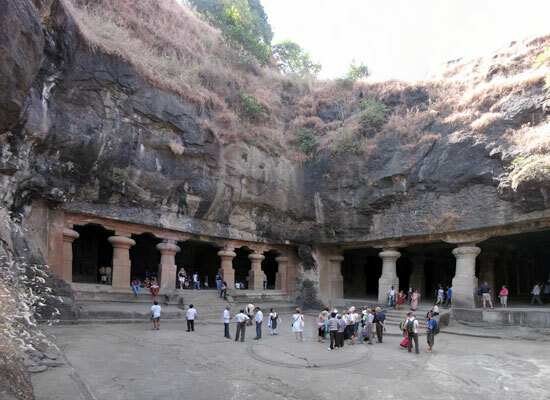 The first stop will be the Elephanta Caves on Elephanta Island, located 10 kilometers away from the 'Gateway of India'. Hop on a motor boat and ride towards the island. Built in the 7th century, the Elephanta Caves are specimen of rock-cut caves dedicated to Lord Shiva. 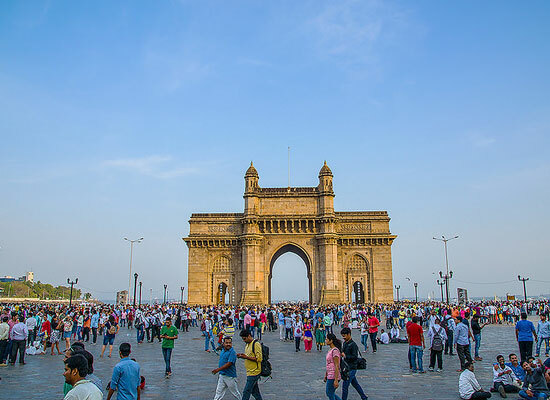 In the afternoon, explore other tourist attractions in Mumbai which include the iconic Gateway of India, Prince of Wales Museum and Hanging Gardens. By evening, return back to the hotel. Overnight stay in heritage hotel or one of similar category. Today after you are done with breakfast, check-out of the hotel and drive towards the airport to board the flight to Hyderabad. 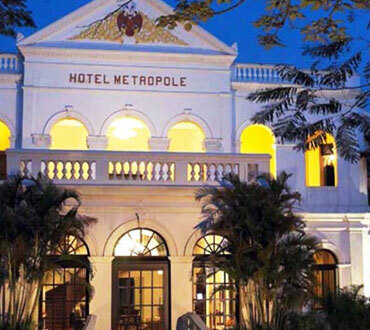 On arrival to Hyderabad, get assistance for check in a heritage luxury hotel. Later in the afternoon, embark on a half day sightseeing tour. The main attractions include Mecca Masjid, Falaknuma Palace, Safdarjung Museum and Charminar. Overnight stay in the heritage hotel or similar. 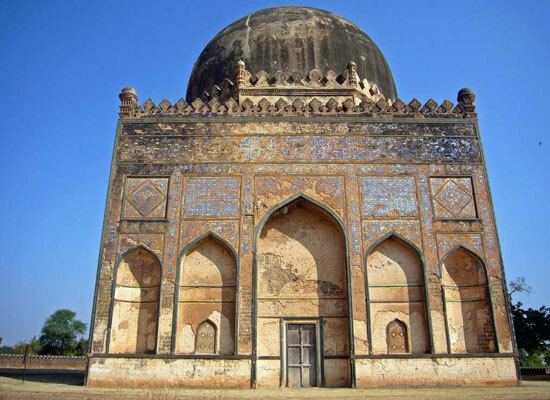 Today the Deccan Tour takes you to Gulbarga. En-route halt in Bidar, where you get to visit the 15th century Bidar Fort and the Bahmani tombs. On reaching Gulbarga, check into the hotel. Later, go out to visit the 15th century Jama Masjid. By evening, return back to the hotel for a night stay. After a quick grab of breakfast, proceed by road for Bijapur. Check-into a luxury hotel on reaching the city. Later, embark on a sightseeing tour covering Gol Gumbaz and Ibrahim Roza, built by Adil Shah II for his beloved queen. By evening, return back to the hotel for night stay. Today, post breakfast, check-out of the hotel for a sightseeing tour of Badami temples. En-route stop for a quick tour of Aihole. The town is known as "Cradle of the Indian Architecture" and has a number of impressive attractions. Upon arrival in Badami, check in at a luxury hotel. Later, proceed for sightseeing to the Mahakuteshwara Temple, Northern Fort and Badami rock-cut caves. In the morning after you are done with breakfast, leave by road for Hospet. En-route, halt in Pattadakal. The historic town is famous for his ten medieval temples representing Chalukyan architecture. The Group of Monuments in Pattadakal is an UNESCO World Heritage Site. After you have savored the majestic heritage, continue to Hospet for rest. Start the day with delicious breakfast, after which you go out to enjoy the tour of Hampi. The ruined city of Vijayanagar Empire is one of the UNESCO World Heritage Sites India boasts about. Explore the magnificent ruins of the kingdom of Hampi. The popular sights that shall enchant you include Vijaya Vittala Temple, Virupkasha Temple, Hanuman Temple, Hemakuta Hill Temple Complex, Sasivekalu Ganesha Temple, Queen's Bath, riverside ruins, markets, etc. After a fulfilling day of exploring India heritage, return back to Hospet for overnight stay in the luxury heritage hotel or similar category. Today the Deccan Tour will take you to Hassan. After a hearty breakfast, leave by road for the historic town. The town is a marvel of ancient temples and other structures of intricate Hoysala architecture. Upon arrival, you will be assisted with check in to your accommodation. Wake up to a beautiful morning in Hassan, after which you can proceed for breakfast. Later, move on for a sightseeing tour of Belur and Halebid. Both these cities are gems of magnificent Hoysala Architecture. Marvel at the mythological inscriptions, artistic temples, etc. Later, proceed by road to Mysore. 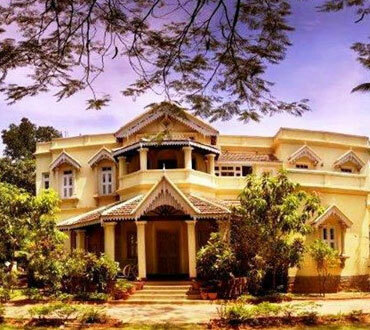 Following your arrival in the royal city of Wodeyar dynasty, head towards you allotted lodgings. 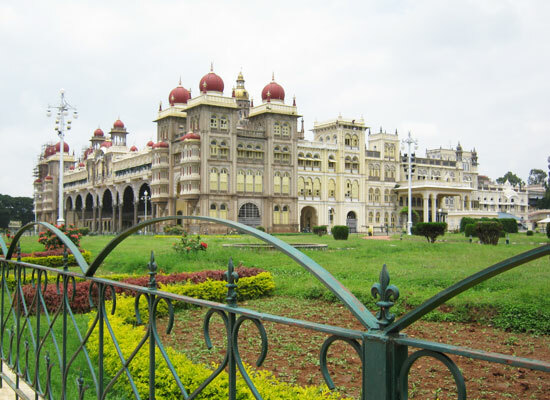 After you have had lavish breakfast in the hotel, embark on a sightseeing tour of Mysore. Today the sights you will cover will include the famous Tipu Sultan Palace and Somnathpur. Do stop for shopping at one of the markets, you will enjoy browsing through the colorful shops. After a day of reliving history, get ready for restful night. 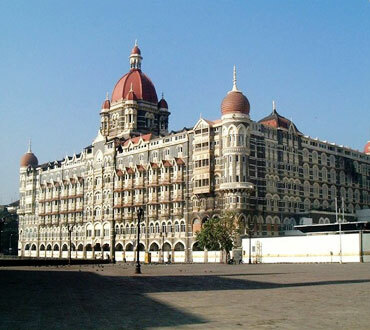 Overnight stay in one of the heritage hotels of India or one of similar category. After a lavish breakfast brightening your day, get to the road to Bangalore. En-route make a quick stop to visit Srirangapatnam. Arrive to Bangalore, and drive straight to the hotel and check in. relax for some time, after which you will leave for sightseeing tour. The highlights of the tour include The Bangalore Fort and Tipu Sultan's Summer Palace, Vidhan Soudha and Lal Bagh. Today is the last day of the Deccan Tour. Post Breakfast get assistance for transfer to Bangalore airport to return back home with cherished memories.